Pilot Era’s video resolution just got upgraded to 8K 24fps via a firmware update (version 4.4.1). Pisofttech also announced that Pilot Era will be launching in early May on Indiegogo, with the first few units available at the Super Early Bird price $800 below MSRP. 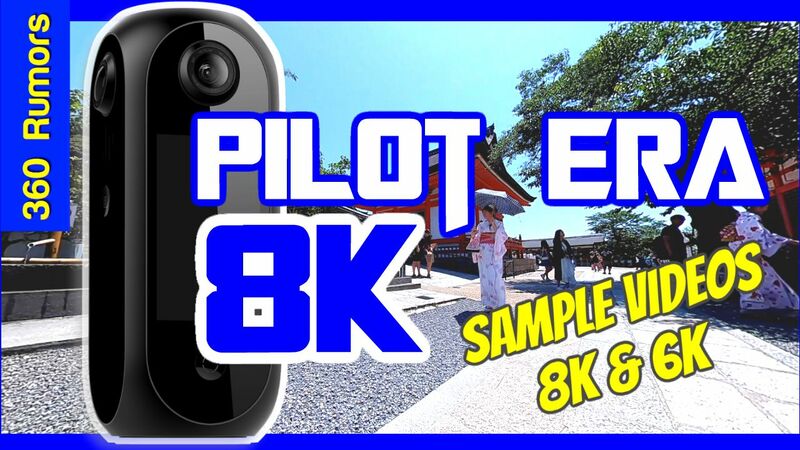 You can be notified when Pilot Era’s Indiegogo campaign goes live here. To learn more about Pilot Era, see here. In-camera realtime stitching and no microSD card slot? yes instead it has a huge 512gb internal memory. I’ve learned my lesson with the Detu Max. No more crowd funding! Wait for an actual release and then read reviews. The Detu Max case is AWESOME.